This is the second book in the Acts of Faith series. I'm not usually a huge fan of religious fiction, but I read the first one, The Centurion's Wife, for a book club and enjoyed it so much, I wanted to check out the second installment. I think the thing I find so compelling about this series is that it's not just a statement of faith, it focuses a lot on the Judean and Roman cultures during the first century. Plus, it deals with the historical factors as well. It strikes me as being a well researched, intelligent and faith promoting project. 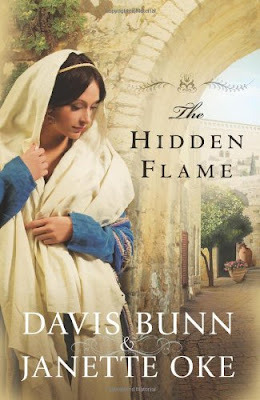 This one wasn't quite as good as the first one, but I still enjoyed it very much and am looking forward to finding out what happens with the purely fictional characters, as well as seeing how the authors present certain events for the religious and historical figures. I give this one four stars and recommend it for anyone open to a good, clean, uplifting read.